Creating handmade products inevitably leads to some percentage of wastage - learn how to best track these hidden costs within your business. Inventory shrinkage (otherwise known as "wastage") can be defined as raw materials that have removed from your inventory, which have not been used in the production of any of your finished pieces. There can be many reasons why the material has been removed from your inventory, with each cause requiring a slightly different accounting approach. It's definitely worthwhile to be aware of how much material shrinkage you currently have so you can address the causes where possible and ensure that you are factoring it into your material costs. 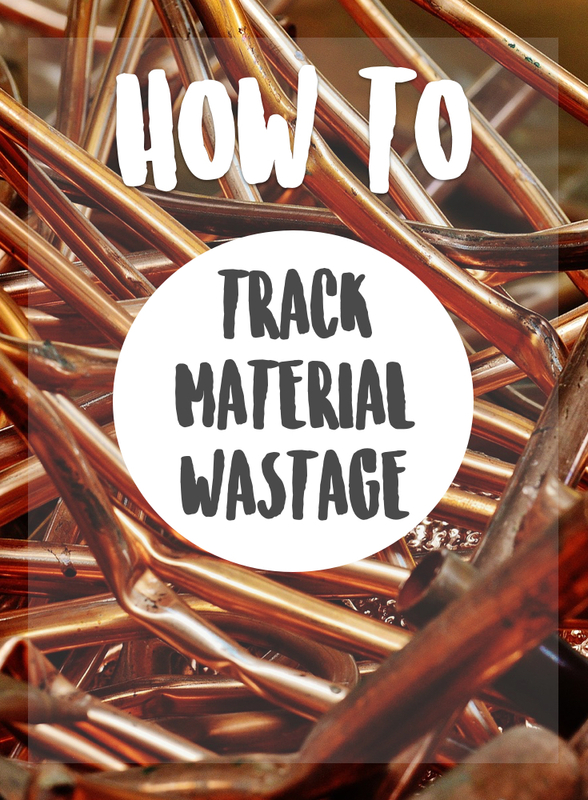 Remember: The better your material usage records are, the better control you have over your profit margins, so try to be as diligent as you can be with this task! This usually occurs when the material has been somehow damaged whilst stored. This is normally accounted for via a simple stock "write down" adjustment to your inventory stock on hand. However, if the material has been damaged in the direct production process, it may be better to include this cost into the manufacture materials cost where it will be accounted for as material usage. This can happen when a previous inventory stocktake the number in available stock was incorrectly recorded so you now have less of a material than your records currently indicate. Ideally, the way to rectify this is to review your material purchase records to try and reconcile the difference, then adjust your expense history to ensure the tally is now correct. If you cannot locate the source of the discrepancy, then you should make a stock level adjustment in your inventory bookkeeping program to get your records back in sync with your physical stock. If you use an inventory materials tracking system (such as Craftybase) and you have under-estimated of the amount of materials required to create your piece, this will result in an inventory deficit when you next do a stocktake. This commonly occurs when the true amount of "scrap" produced is not adequately accounted for: as most scrap cannot be returned to your materials inventory and needs to be discarded, this can lead to a shortfall in your inventory. In this case, it is better to include a more accurate measurement of the average percentage of "Scrap" that is normally created in the production of your product in your Bill of Materials, than to periodically mark it down via a stock shrinkage adjustment. Some of your materials may have a shelf life whereby if they haven't been used by this time then the material is said to be spoiled and can no longer be used. Your inventory amounts therefore need periodic adjustment to ensure that only the usable materials are counted in your stock on hand. It is a good idea to create inventory adjustments rather than reduce the quantity on hand number so you can track the percentage of overall wastage from spoilage: if this percentage is quite high, it could indicate that you need to ensure you only keep a minimum of spoilable materials on hand at any one time. It is often a good idea to invest in an inventory management program to help track your materials.